You know, you gotta smirk when someone mentions the name Tom Cruise. Ever since he jumped on Oprah Winfrey's couch and another time called NBC news anchor Matt Lauer "glib" (to his face on national television), his public image has taken a moderate hit. He has become Hollywood's version of a dart board. He's making all kinds of different movies now from each and every genre. This guy is basically the dart and he throws himself against the board hoping something will stick. Recently, Cruise has played a famous rock star in Rock of Ages (2012), a bald, high strung studio executive in Tropic Thunder (2008), a military police corps officer in Jack Reacher (2012), and a senator in Lions For Lambs (2007). I guess, maybe, he's just trying to get people to like him again. Heck, he may win some new friends with his sci-fi movie Oblivion. I viewed it yesterday in a somewhat lightly crowded theater and have decided that the Cruise man and I can just be acquaintances, that's it (ha ha). The movie begins by telling the story of Jack Harper (Cruise), also known as Tech 49 (one of the last few humans stationed on earth). The year is 2077 and the planet, now almost destroyed by alien forces, has taken every measure necessary to destroy those aliens (in this case, Cruise is powering up dormant drones in order to kill off the species). Harper's job (with the help of Victoria played with monotonous overtone by Andrea Riseborough) is to complete this mission and go back to a place called Titan (I just couldn't figure out where Titan was). Throughout the film, Cruise's character has flashbacks and dreams about a life he might have had in a past existence. To explain this more in detail would be spoiler city so I'll just leave it right there. I will however interject a side plot involving Morgan Freeman (Malcolm Beech) as a sort of a secret human leader unknowingly stationed on Earth's surface. He has survived the past carnage and no one knows him and his people exists until a chance meeting with Harper. They cross paths and set the film in sort of a different direction than initially was established. Let me just say that Oblivion is a mixed bag. On the plus side, it's one of the best looking films I have seen in a long time. Its got a nice, shiny, salt and peppery look to it that I like. And it is directed by a guy whose last picture I'd consider a terrific sequel (Joseph Kosinski, Tron: Legacy (2010)). However, Oblivion tries really hard for greatness and falls short. It tries almost too hard but with good intentions. A lot of what's on screen is undoubtedly familiar stuff. The action scenes are reminiscent of every Star Wars film mixed with alien fare a la Independence Day (1996), the ending has a small whiff of 2001: A Space Odyssey (1968) saddled with the 1985 kid's film Explorers, and the Cruise character (Jack Harper) feels like a younger brother version of Harrison Ford's Deckhard in Blade Runner (1982). Oh, and I almost forgot, the costume design channels a post apocalyptic neighbor in Mad Max Beyond Thunderdome (1985). Then there is the dialogue and believe me, it's sometimes laughable. With so many beautiful images on screen (minus the cheesy, director inspired, 70's zoom ins with the camera), it's hard to believe that conversations between the actors in this movie sound like ten year olds speaking to one another. What's worse, is that you suspect the villains in Oblivion to be machines. Melissa Leo's character for instance (spaceship commander Sally) is one part of the cast that you think is a machine and not human. That's a good thing because if she is a machine, that makes sense. No human being could be that annoying in person. Finally, there is the acting or should I say lack there of, especially by Cruise. Normally, he does his best work when there is not so much special effects gimmickry going on around him. But alas, he's picked another project where it's painfully obvious that he's going through the motions. His performance is so phoned in, he might as well be the spokesman for T-Mobile. When there is an exciting over-the-top spaceship chase between him (the stunning Olga Kurylenko is in the passenger seat) and the "drones" (Star Wars imitated fighting machines), the two actors act badly while the motions of the space vehicle jerk them back and forth. It truly looks simulated people. I almost laughed in a situation that didn't call for laughter. Kurylenko's character asks Cruise's character, "are we gonna die?." Cruise's Jack Harper first says "no," then 5 seconds later, says "yes." Way to go Tom, you're earning your Keanu Reeves acting wings with flying colors. 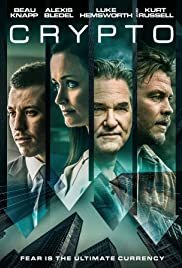 Truth be told, the movie fails in other areas also by posing many difficult questions concerning most of the main characters. It thinks it's clever trying to confuse the audience by adding surprises and unnecessary layers to the story. Some films flat out earn their twists and turns. Oblivion decides to mess with your head just to you know, mess with your head. When this thing finally ended, I just wanted to throw my arms up and say what the heck just happened. The only way anyone can get what's truly going on in is to see it again and try to decipher all the plot points. I will, but I might have to wait a couple more years. I have other movies to review. Darn it. 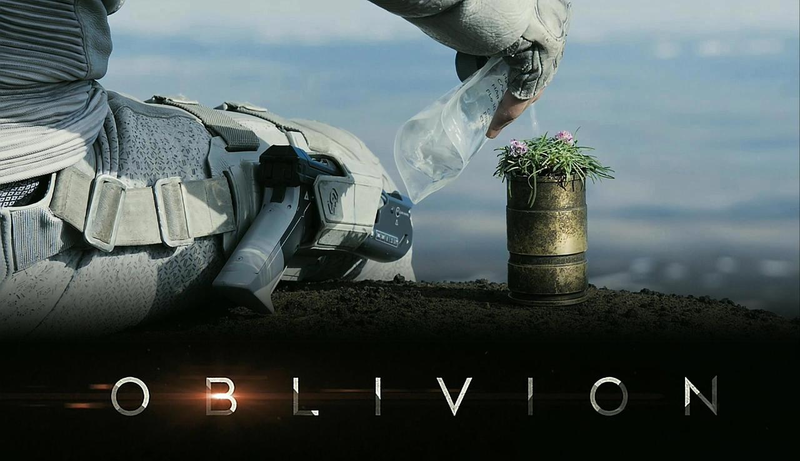 Is Oblivion a bad film, no not exactly. It's ambitious and full of ideas. Most of them are borrowed and a slight few are wholly original. As for Cruise, he should probably not try to please everyone by doing all these different types of film fodder. He's become more of a movie star and less of a serious bonified actor. Here's my advice for the aging maverick, give directors Oliver Stone, Martin Scorsese, and Paul Thomas Anderson a call. Maybe they can help you get back on track. After all, it's never easy winning at darts.